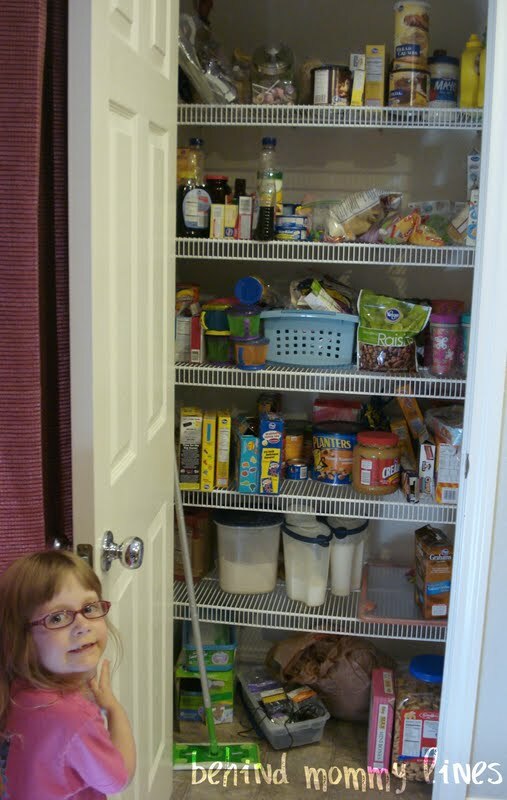 behind mommy lines: Um... Pantry? 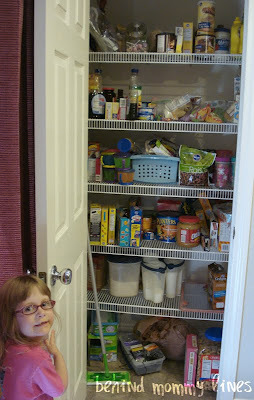 I was downright elated when I found out the New House would feature a for-real pantry. 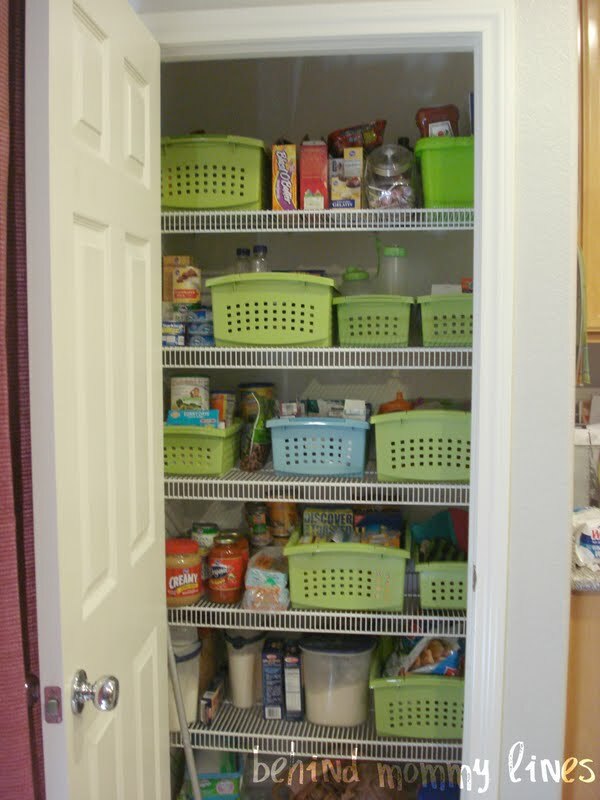 After shoving all my non-perishables into various cabinets with my old kitchen, I had really reached my limit as I was running for the flour on one side, canned beans on the other, etc. I wanted all the foodstuffs IN ONE PLACE. Desperately. Thursday I was having a truly terrible day. There's no good way to recoup a day that starts off with a dentist appointment. It may just be the last thing I want to do with a babysitter watching my kids at home. I should have ditched the tooth doc and went for a nice facial. Add to this a baby who woke up at the crack of dawn and had planted himself firmly on the side of my leg, and I was a bit cranky. The icing on my freakout cake was not being able to find the kids some dang granola bars so they would stop complaining of hunger well before dinner was happening. I may have been rummaging through that pantry like a crazy person, tossing stuff, stomping, and low-level cursing. I must admit that when any part of my house looks even vaguely organized or together, I do feel the need to shout it from the rooftops and post pictures on the internet. (because yes, it happens so sparsely) Also, can I get an AMEN! for lime green baskets? New. Favorite. Color. Now go organize 'yer crap. If I can do it, you sure as heck can too. As i reading the first part of this post I was thinking bins..bins..! Glad to see that worked for you also. I also use boxes with lids so I can stack on top of eachother. Label everything though. Granola bars..chips..fruit snacks..oatmeal. Even my cereal is in tupperware containers.